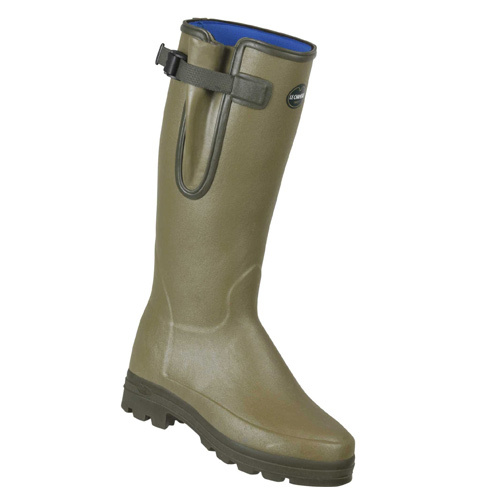 Le Chameau uses only the highest quality neoprene. Originally used to make diving suits, neoprene has excellent insulating properties and prevents the wearers body heat from dissipating. Le Chameau neoprene is composed of micro bubbles, assuring resiliency, thermal insulation capacity and elastic memory. Available in 3mm for comfortable wear in temperatures down to -15C and 5mm for comfortable wear in temperatures down to -25C.